If you would like to request more information about our company, or have an upcoming project you would like to discuss with us, please complete our short form and we will get back to you promptly. If you have any questions or comments, please enter them in the space below. If you're not a robot, what is 800 + 54? 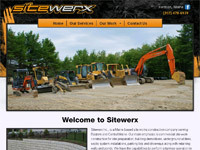 © 2019 Sitewerx, Inc. All rights reserved. A PHD Consulting Site.